The three drivers in question are actually Ducati racers at this time. One of them is a factory team racer, Danilo Petrucci. The 2019 MotoGP season hasn't started yet, but the Ducati Corse Team has thought of drivers to fill their seats in 2020. That has been included in the planning of the Ducati Racing Director, Paolo Ciabatti, who has three candidates to become the team's main drivers in the 2020 season. The three drivers in question are actually Ducati racers at this time. One of them is a factory team racer, Danilo Petrucci. Meanwhile the other two were on the satellite team, namely Francesco Bagnaia and Jack Miller. Ciabatti explained that he would analyze the performance of the three drivers in this season to be used as a reference for the following season. In other words, even though Petrucci currently holds the status of a racer in the first team, his position is still not fully secure. 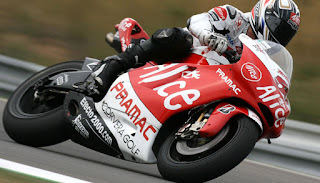 If Petrucci's poor performance in MotoGP 2019 or loses to the satellite team driver, the Italian rider will likely lose his position for next season. On the other hand, the regulations made by Ciabatti also provided a greater opportunity for Miller and Bagnaia to be able to immediately go up to the first team. Ciabatti admitted that he did not hesitate to give the young driver the opportunity to appear on the first team, if indeed he had the ability. "The results of Petrucci, Jack, and Pecco (Bagnaia) will direct us to decide which drivers will be in the first team by 2020. We have three good candidates to fight for positions in the 2020 factory team," Ciabatti explained, quoting from Autosport , Tuesday (1/15/2019).